I agree allurose, I cant stop admiring Demetra and have favorite all the flickr pics. She is a stunning combination of so many skills plus great unique break-through design. Such a wonderful overall balance of aesthetics, design and as a high end collectible art-piece. So well done, congratulations again! Thank you very much! This project for me new level. I was able to translate their thoughts and development. I am grateful for your appreciation. From a distance, the lovely body tattoos look like they have been embroidered on with coloured silk and outlined with gold thread. Very well done. Very well done metal body parts-- the design is to scale and beautifully embellished. Beautiful crown sprinkled with dainty flowers and great shoe design too! Forgot to add that the fingers and toes are much more delicate looking than on previous dolls and are very masterfully done. I'm glad your assessment of my work. Rise art artist is very important. For me this collection special. I thank you! Besides the jointed articulated neck - something I usually don't like - totally makes sense here. Fantastic! Oh wow, Demetra is even more beautiful! I don't usually love the jointed articulated necks on any doll (just personal preference) but I like how it was pulled off in these dolls, and I do like the tummy joint and of course the flower tatts are perfectly executed! Such a lot of attention to detail and so beautifully executed. 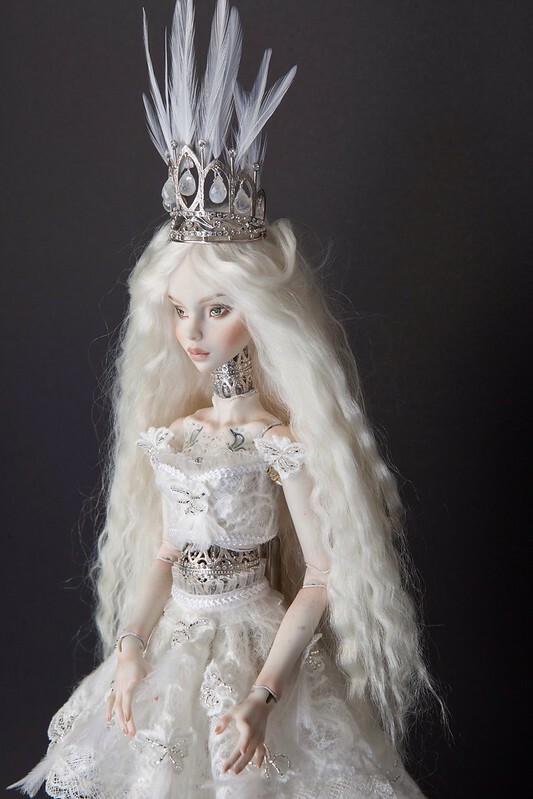 The face on this doll is also so beautiful and expressive! Beautiful work. Thank you very much! I appreciate every comment! Another girl from Premium collection. Aura. OMG those shoes, with the tiny perfect feather - amazing! Her full set is just stunning. You've been working SO hard!! Oh she is really lovely! The shoes are gorgeous yes, and the wig is pretty too, did you make it? I really love your painting style. So careful and detailed. Really lovely. 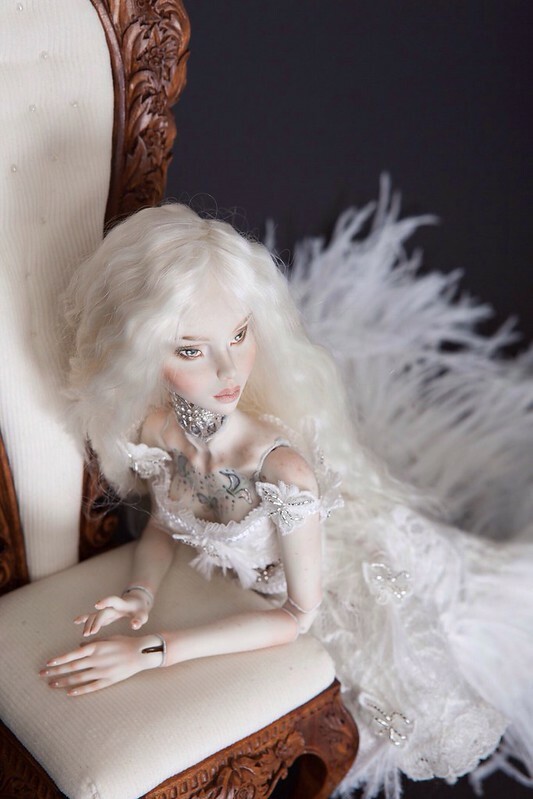 viktoriyaartdoll, do all your dolls start with the same color porcelain, and then the skin color difference is China paint? Or have you used different colors of porcelain slip? I am so awed by these amazingly detailed works and the innovation. Even my husband was so highly intrigued by them. Your attention to detail has been spectacular! Thank you so much! I am very proud of this work. I spent a lot of time and effort. Thank you very much! Yes, wigs and everything else I do myself. 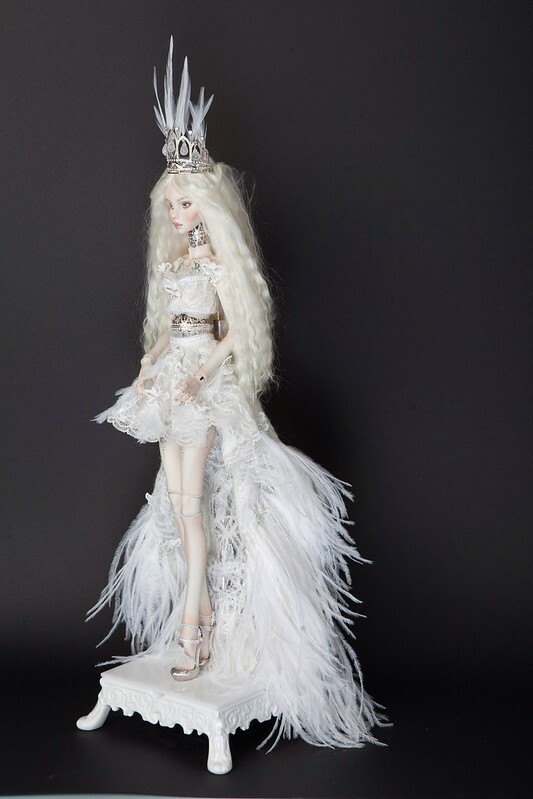 This doll used the metallized shimmering paint. In life it is very very nice. The photo does not convey all the beauty. 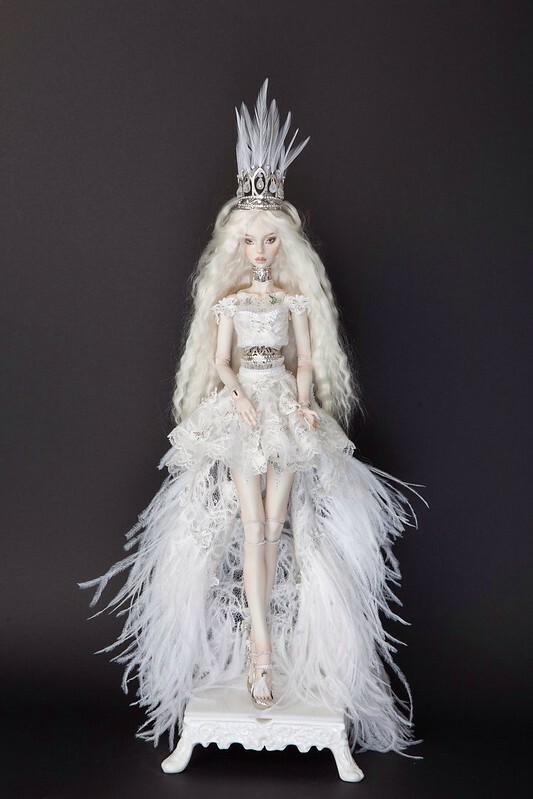 viktoriyaartdoll , do all your dolls start with the same color porcelain, and then the skin color difference is China paint? Or have you used different colors of porcelain slip? I use tinted porcelain and almost white, but they are all covered with blush. Thank you very much! I am very happy when men like.